Welcome back! If you missed our first lesson on “The Major Scale”, we recommend reading it before getting started on intervals. 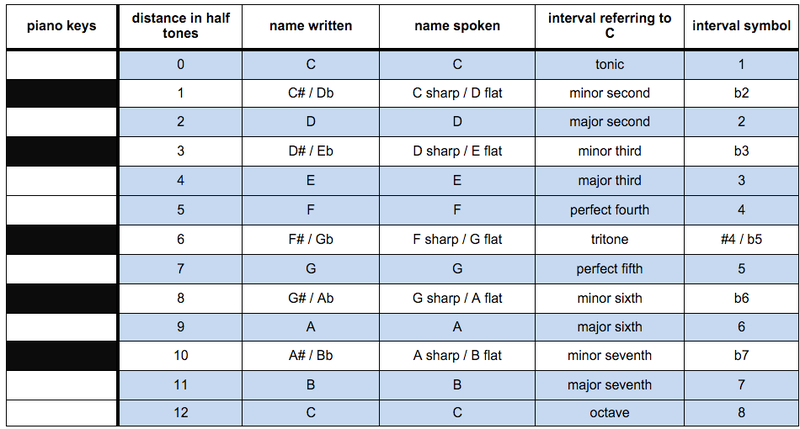 To help you understand what are music intervals, let’s start with getting to know the music notes. We call the distance between two notes an interval. Each interval has its own sound and name. By the end of this blog post you will know the twelve most important intervals. You can play any open string on your guitar and then slide up twelve frets to reach the same note that you started with, because we only have eleven different notes. The distance between the open string and any one of the frets (one through twelve) results in a different interval. In our first music theory post about the major scale, we stayed on one string to keep everything clear and easy to understand. When playing an interval with two pitches at the same time, we will of course need two strings. We’ll give you some easy examples that show you how to place each interval on a guitar. Let’s start with the octave, or the 12th fret. The name comes from the latin “octavus”, which means “eighth”. If we play a major scale, the eighth note will be an octave away from the first note. The names of the notes in every octave will be the same because everything repeats at the octave. So the octave of the note C is C. When played at the same time, the two octave notes become indistinct and sound much like one. 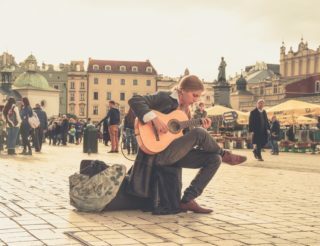 An easy way to play an octave on guitar is to use an open string for the lower note and finger the upper note on the string two above the lower one. If you choose the open low E string for the low note you use the second fret on the D string for the higher E.
You can also play the higher E on the A string, using the seventh fret. 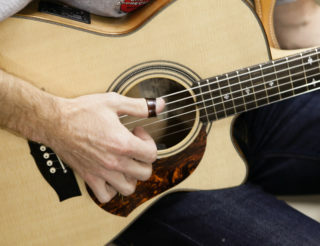 If you use the open D string for the lower note (D) everything changes a little: You will then have to use the third fret on the B string for the higher D, because the tuning of the open strings is not regular, the interval between open G and B strings is one fret (a half tone) smaller then between the other strings. The next most important interval, especially on guitar, is the fourth. It results in the distance of an open string and the 5th fret. The fourth is also the distance between the first and the fourth note of a major scale. Most guitar strings are tuned in fourths: E and A; A and D; D and G; B and E – each of these pairs of notes are fourths. “Amazing Grace” starts with a fourth. “Love me Tender” is another good example. Next and very similar to the fourth is the fifth between open string and 7th fret. Each interval has a so called inversion. The inversion is the interval that adds up to an octave which another one. For example a fourth (5 frets) plus a fifth (7 frets) are an octave (5 + 7 = 12 frets). This is the reason for them sounding much alike. This is the case with any interval and its inversion. If you play the same notes, but the low one on top and the high one underneath, you always get the inversion. Now combine the low E string with the second fret on the D string to hear an octave just like you did before! 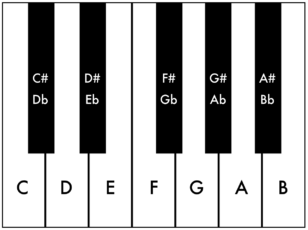 The fifth is the distance between the first and the fifth note of a major scale. The “Star Wars” Theme by John Williams starts with a fifth. We also have a major third on the guitar between the open G and B strings. Playing it on any other of the strings works like this: Play the higher note on an open string and use the first fret on the string below. The tuning between the open strings is a fourth, so to get a major third you have to make the interval smaller by raising the lower note. This is the case with any interval smaller than a fourth. The minor third is a half step smaller. The first two notes of the most famous guitar riff are a minor third, “Smoke on the Water“. To play both notes of a minor third on the guitar you do almost the same as with the major third. Play the high note on the open A string and use the 2nd fret of the low E string for the lower note. From here on, we will not disrupt you with our beautiful soundslices anymore. The principle stays the same: to play an interval on guitar, modify the interval between the open strings up or down and pay attention to the inconsistent tuning between G and B strings. The inversions of minor and major thirds are the MAJOR and MINOR SIXTHs. The Major Sixth is the distance between an open string and its 9th fret. Its name refers to the sixth note of the major scale. Check out this funny and completely guitar-free version of “My Bonnie lies over the Ocean” of MNOZIL BRASS! The two notes of any MAJOR SECOND are two frets apart each other. It is the distance between the first two notes of a major scale. We also call it whole tone. “Yesterday” starts with a major second moving down. The inversion of the major second is the MINOR SEVENTH, two notes that are 10 frets apart each other. It is the distance between the first and seventh note of a minor scale and the beginning of “There’s a Place for Us” from West Side Story. Next let’s look at the MINOR SECOND. It is the smallest interval, there is only one fret between the two notes and it sound very weird when you play them simultaneously. We also call it half tone. “White Christmas” starts with seven (!) minor seconds. Finally we have an interval that is its own inversion because it splits the octave into two halfs. It is not in a major or minor scale but lies right between the fourth and the fifth. Therefore it has its own name, tritone. The distance between its notes is six frets or half tones and its sound is even more dissonant than the minor second/major seventh. A great example of the tritone is in the song “Black Sabbath“. We have two blog posts dedicated to this interval with 25 song examples. 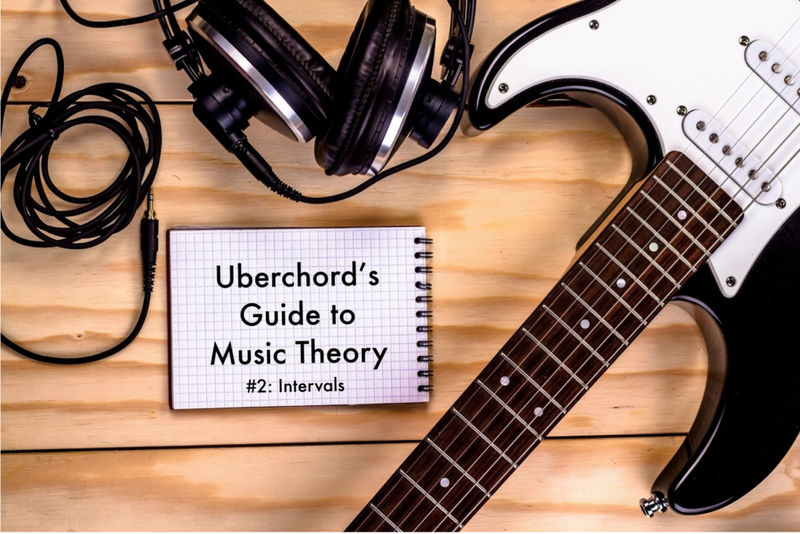 Are you ready for the Part 3: Guide to Music Theory for Chords? 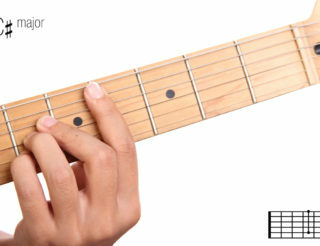 We just posted the next lesson where you will Learn Guitar Chords! I love the variety in music examples… “you should never marry a genre” I was told by a jazz guitar instructor and it’s true. Music is music… Thanks Uberchord for sharing music lessons.